For some of us, animals play a huge role in our day to day lives. They are our pets, our companions, and – for those of us who use service animals – a means of living our lives as best we can. Others, on the other hand, never really come into contact with animals besides seeing the occasional wildlife when we are away from home. But regardless of your personal relationship with animals, it’s important to recognize the huge role that they can play when it comes to benefiting people around the world in relation to their health and wellbeing. Here are just a few different ways that a positive relationship with animals can improve your life! Epidemiology studies have found that dogs can do you a whole lot more good than merely serving as a loyal source of affection and company – they can significantly boost your immune system too! The increased happiness that comes hand in hand with taking on responsibility for a canine companion, as well as the increased exercise that you commit to when taking them on a daily walk is said to reduce your chances of developing cardiovascular disease by thirty-six percent. It is also believed that germs found in dog’s saliva may be the missing link in your own immune system, and that coming into contact with it actually reduces your susceptibility to illness! Trained and domesticated animals are becoming increasingly incorporated into therapy for a whole host of issues – from mental illness to addiction. Just take a look at equine facilitated therapy. This is an experiential step in therapy programs that are used to encourage emotional, physical, occupational or communications growth in individuals suffering from a wide range of disorders. Emotional support animals otherwise referred to as “ESAs”, are essentially companion creatures who actively provide emotional support to their owner or handler. Their presence alone can significantly improve their owner or handler’s overall sense of health, happiness, and general wellbeing. Many animals provide us with this without being officially recognized as ESAs. However, having an animal registered as an ESA means that you receive official documents that allow the animal to live in housing that may usually reject pets, spend time in private facilities that may otherwise reject pets, or even take flights that may otherwise require pets to travel in the baggage cargo. A professional health practitioner, such as a psychiatrist, can officially sign your support animal off as an ESA. 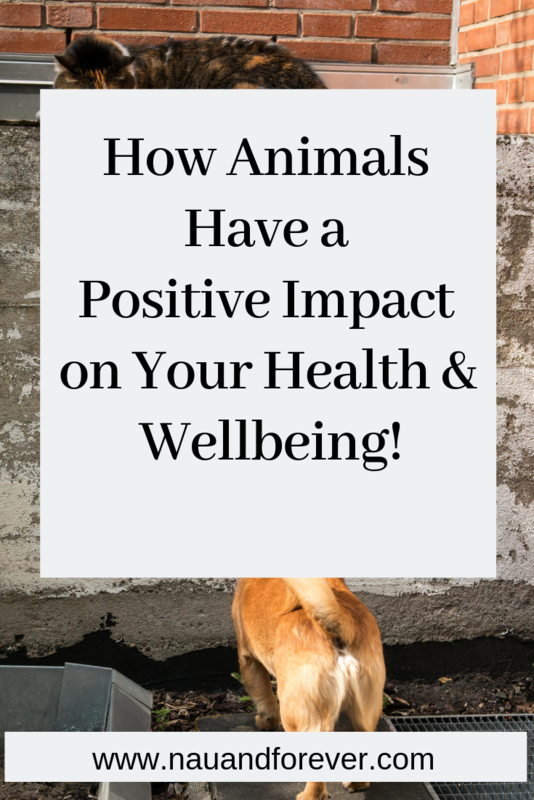 These are just a few different ways that animals can play a profoundly positive role in your life, improving your overall health and wellbeing! There are plenty more ways that they can benefit you at the same time as you provide them with a good quality of life!